A Day at the Races Swedish movie poster. Copyright by respective movie studios. Intended for personal use only and strictly forbidden to reproduce as printed posters. 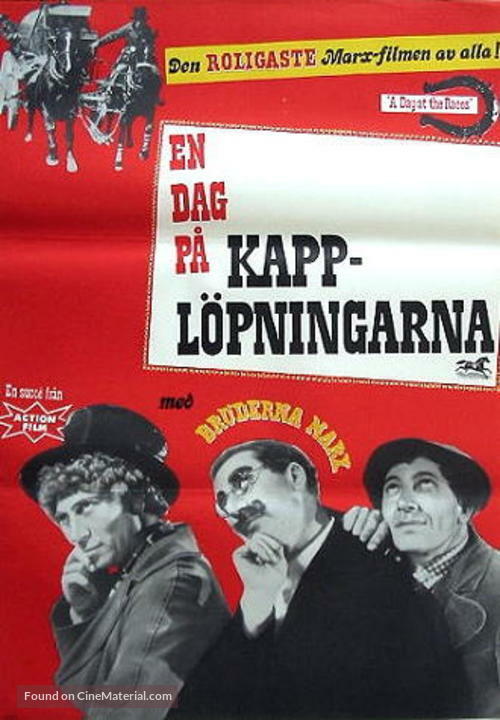 NordicPosters.com Vintage Swedish Movie Posters from 1917-2010 for sale.